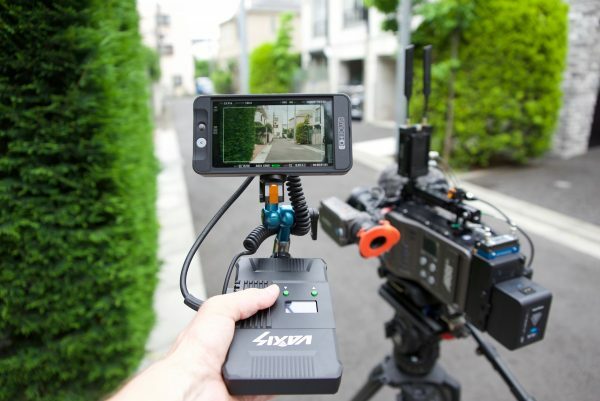 The Vaxis Storm 500FT+ Wireless HDMI/SDI Transmission Suite is from a company called GM-Cine. GM-Cine has offices in both China and the US and they sell products from companies such as RED, Zeiss, Cooke and Arri. 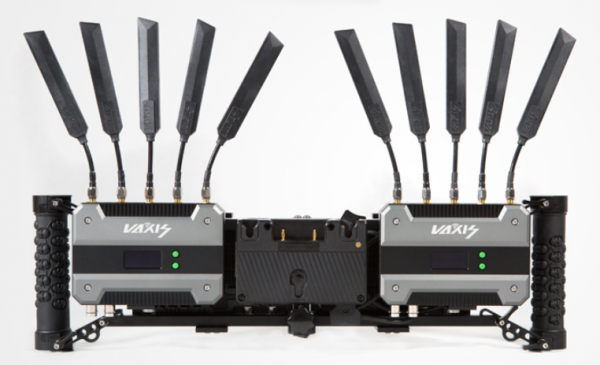 Vaxis is their own brand of wireless video systems that they have developed. 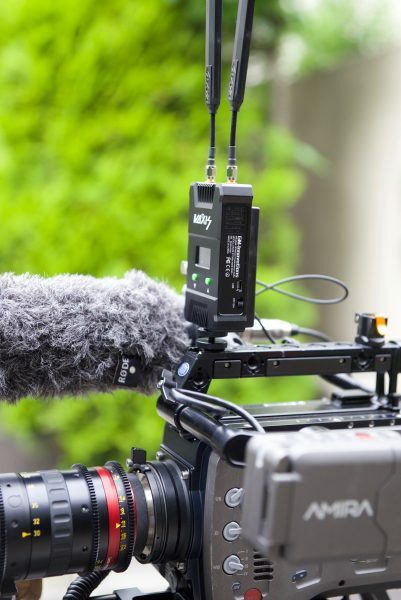 Wireless video transmission systems are a crucial part of any large production. They let everyone from the director, to the focus puller and hair and makeup see what is going on. If you are a solo shooter or working in a small team, it’s often not cost effective to buy or rent a wireless video solution. The thing I have found with wireless video is you usually get a client asking for it but then they aren’t prepared to pay you any extra for providing one. Most high-end wireless solutions from companies such as Teradek start at just under $3000 USD and then go up from there. $3000 USD is still a significant amount of money to invest, especially if none of your clients are willing to pay you extra to use it. The Storm 500+ is still not what I would call budget friendly, but at $1880 USD, it is considerably cheaper than some of its competition. 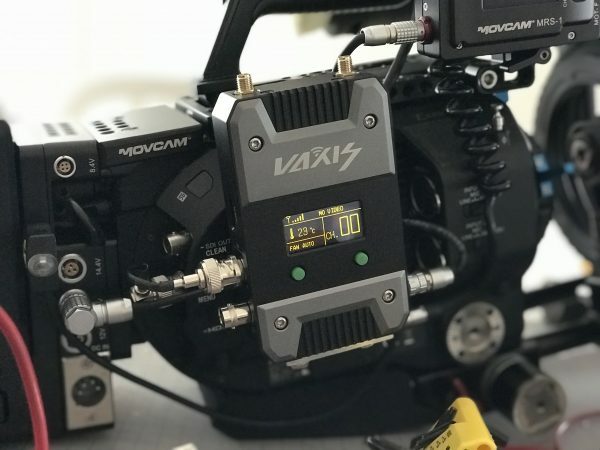 The Vaxis Storm 500FT+ Wireless HDMI/SDI Transmission Suite can send an uncompressed HD video signal via SDI or HDMI that the company claims has a zero delay. 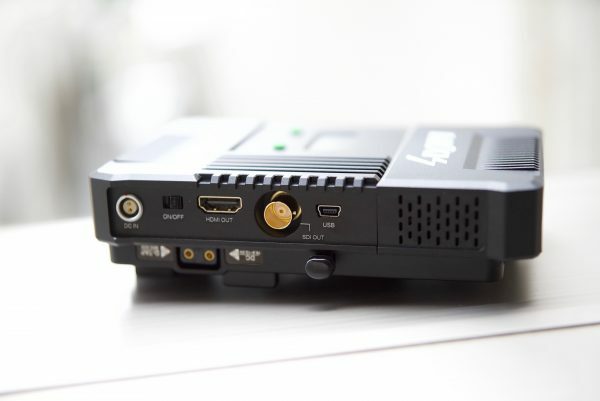 The suite includes one transmitter and one receiver, and both feature a 3G/HD SDI interface and an HDMI (1.3) interface. The Storm 500+ can transmit and receive 525i, 625i, 720p and 1080p (up to 60P) signals over a distance greater than 500ft+. Vaxis quotes a figure of up to 200m (656ft) on their website. If both the SDI and HDMI have valid video inputs, the system will take the 3G SDI input as a priority. As far as encryption goes, there doesn’t seem to be any. Unlike units from Teradek where you can encrypt the signal so only you can see it, the Storm 500+ could in theory be seen by anyone with a compatible receiver. 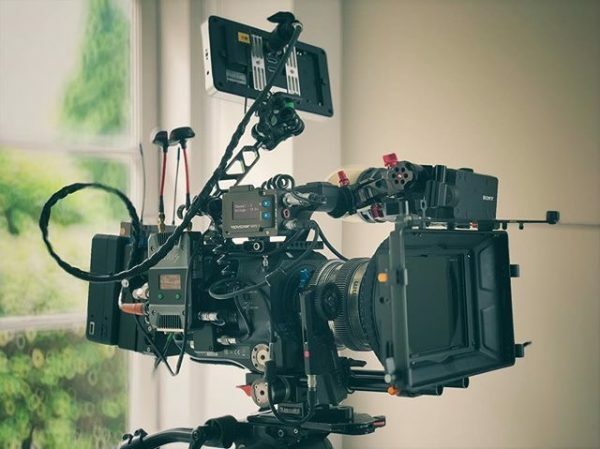 This is obviously a problem on larger productions where every bit of vision needs to be kept confidential and away from prying eyes, but for solo operators or small productions it’s probably not something you are going to be worried about. 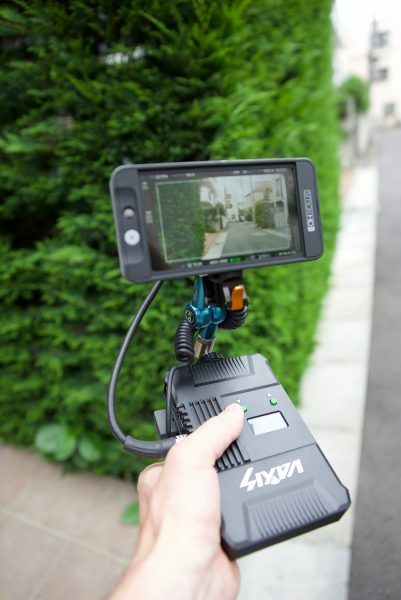 Unlike the Teradek Bolt 500 TX, the Vaxis Storm 500ft+ TX unit does not have an SDI loop out so if you want to connect an on-camera monitor from the same device you will need to use one that has an SDI out on the monitor and place the Storm 500ft+ TX unit at the end of the chain or use both the HDMI & SDI outputs on the camera. 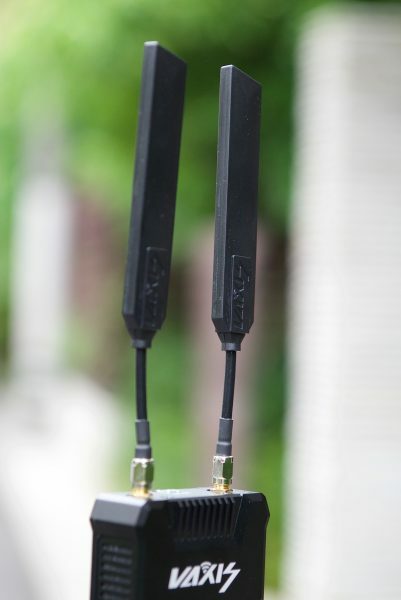 The transmitter uses two “Sword” antennas, and the receiver uses five antennas that are built-into the housing. The antennas look more like propellers from a drone than the type used on most other wireless devices. The reason behind this design is that it helps the antennas mitigate dBi loss from reflections because the polarization does not change when the waves reflect off surfaces. The “sword” antennas have ceramic plates inside of them that according to Vaxis, increases the signal strength. 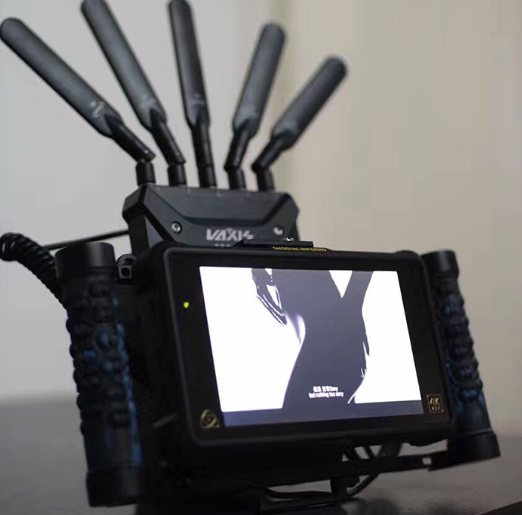 This “Sword” design was pioneered by Vaxis and now many companies such as Movcam and Kinefinity are using it. They have also been designed to be very flexible and you can bend them around without having them break. The Storm system operates on the 5.1-5.9GHz frequency band and it can be software configured to change the ISM band so that licenses can be given for it to work in different global regions. 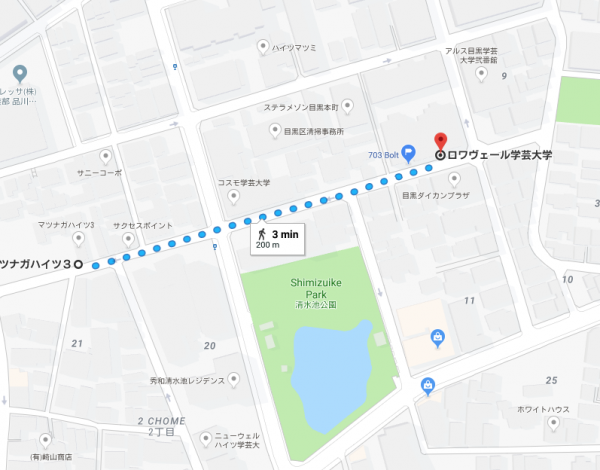 Getting certification for wireless devices can be tricky in certain countries around the world, especially Japan, Taiwan and Korea. The Storm systems currently only have FCC approval and can be used in most parts of the world. When I spoke to Vaxis they said that the Storm series will also soon have CE approval. On the front of the transmitter and receiver, there is a control panel with an OLED screen and channel adjustment button. Up to 10 workable frequency channels can be chosen. 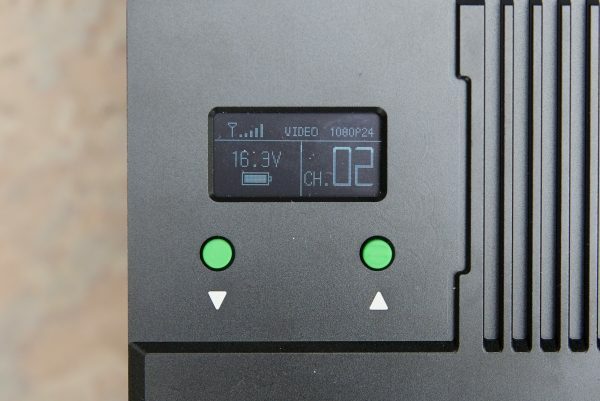 On the OLED display, you can see indicators for wireless power status, temperature, video status and receiver RSSI. The Storm 500+ lets you use up to four sets of wireless transmission suites all working simultaneously and in the same place (Multi-point to multi-point to transmit different images). There is also a USB input for upgrading firmware. 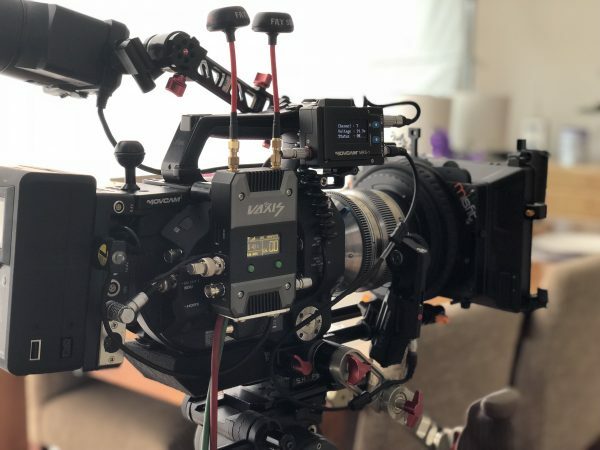 Another nice feature of the Storm 500+ is that it supports metadata, timecode and run/stop control for ARRI, RED, Canon, Panasonic, and Sony cameras. Power wise both the transmitter and the receiver have multiple options available. 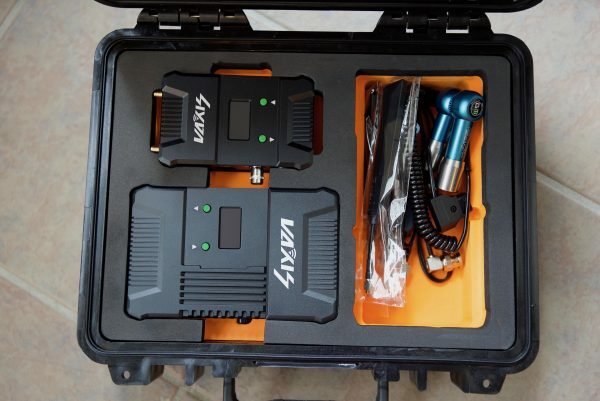 The transmitter features a SONY NP-F970 battery plate as well as a 6.5-16.8V DC 2-pin female LEMO input. The receiver has a built-in V-lock or Anton Bauer Gold Mount battery plate (depending on which one you choose). It also has a 6.5-16.8V DC 2-pin female LEMO input. The Storm 500+ receiver and transmitter draw <6W of power. The only thing I don’t like when it comes to the powering options is the fact that the system uses two different types of batteries. I would prefer to have seen a dual SONY NP-F970 battery plate on the receiver (even if it was an optional extra). The nice thing about the Vaxis Storm 500+ is that GM-Cine gives you 2x LEMO 2 pin male to D-Type conversion cables as standard. Not having to buy these cables as optional extras is a nice touch and a money saver. 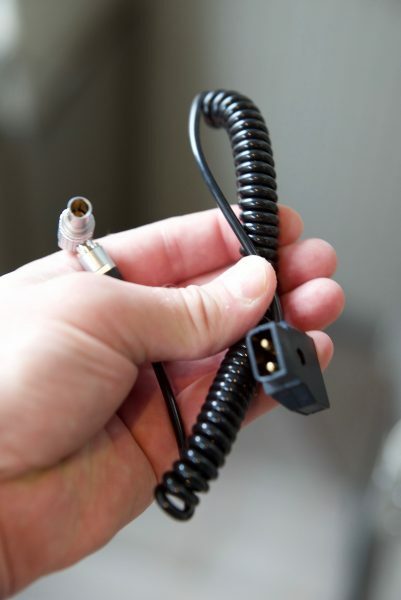 It also means you don’t have to go and try and source these cables from another company to power your wireless suite. 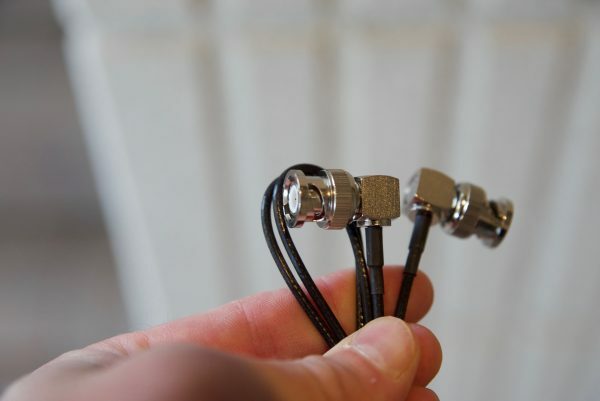 As far as build quality goes the casings of both the transmitter and receiver are made out of metal. They feel solidly made and are actually a lot lighter than they look. I weighed the transmitter and found that it was 250g (8.81oz) without a battery. The receiver weighed 470g (16.57oz) with the V-lock battery plate. To put this weight into perspective, the Teradek Bolt 500 transmitter weighs 217g (7.6oz) and the receiver tops the scales at 299g (10.5oz). Size wise the transmitter is 111 x 71 x 24mm (LxWxH) and the receiver is 151 x 97 x 23mm (LxWxH). Again to put the physical dimensions of the Storm 500+ into perspective lets compare it to the Teradek Bolt 500. The Bolt 500 transmitter has physical dimensions of 102.1 x 66 x 24mm (LxWxH), the receiver is 146.5 x 88.9 x 25.2mm (LxWxH). 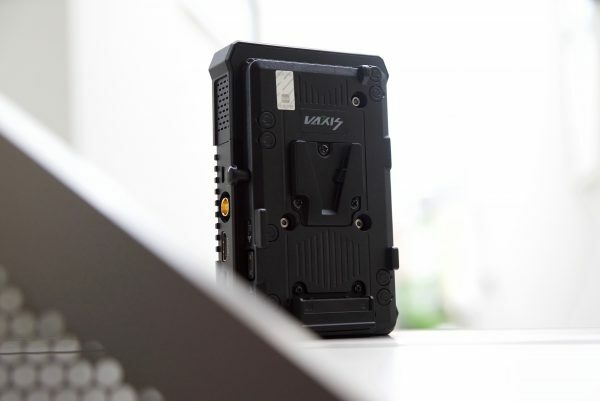 The receiver is a lot bigger than the transmitter and I imagine most of this has to do with the fact that Vaxis have chosen to incorporate a V-Lock or Anton Bauer Gold Mount battery plate. 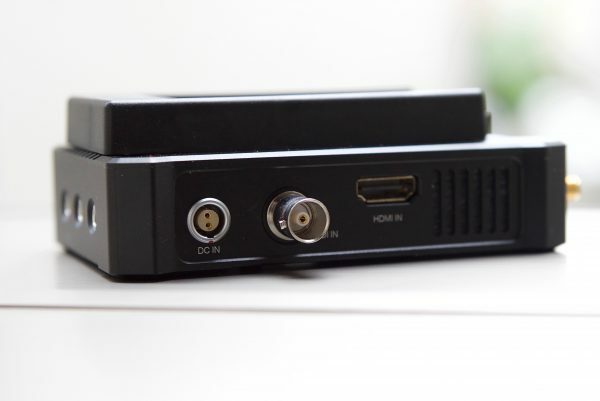 On one hand, I like the option of being able to power the receiver from a large camera battery, but on the other, I would prefer to have seen a more compact receiver. In saying that it’s not that much bigger than the Teradek Bolt 500 TX. The connectors, inputs and buttons on the Storm 500+ receiver and transmitter are all solid and well made. 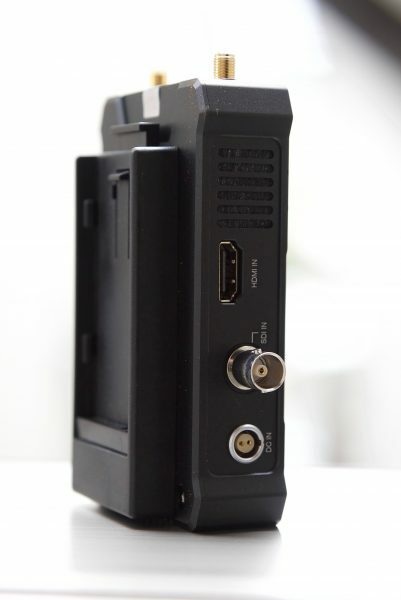 Similar to the Teradek Bolt series, the Storm 500+ has mounting points on the bottom of the transmitter and receiver. Unlike the Teradek Bolt series, however, the Storm 500+ only has 1/4 20″ mounting holes, there are no 3/8″. Vaxis has two reasonably priced director’s monitor cages available. The first is the $299 USD Single Director’s monitor cage, and the second is the $499 USD Dual Director’s monitor cage. Both of these look like a nice solution for mounting and powering your monitor and wireless receivers. 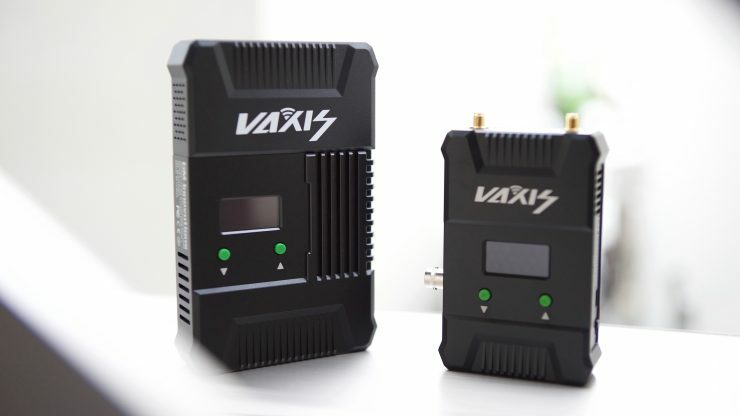 In a similar fashion to how Teradek offer a Bolt 500 Deluxe Kit SDI/HDMI Wireless Video Transceiver Set ($3299 USD), Vaxis has done a similar thing. The biggest difference is that the Storm 500+ comes in a full kit as standard. All these items come in a nicely designed hard case that has laser cut foam. It’s nice to get all of these items as standard, but I was a little perplexed as to why they only included one 3G-SDI flexible cable and not two. I mean if you are going to put in two DC conversion cables why wouldn’t you include two 3G-SDI cables? 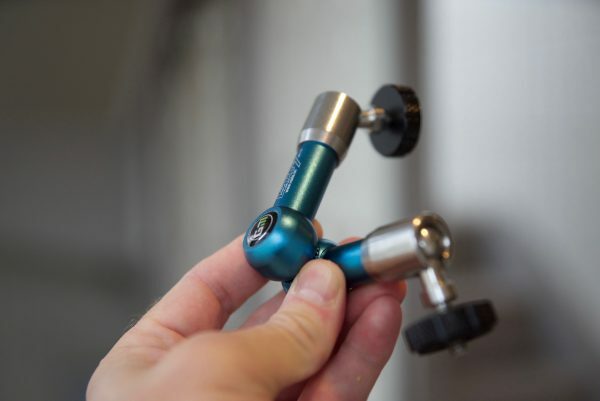 The included Noga Arm is well made and it’s nice to see a quality mounting device included with the kit as standard and not some badly made, cheap alternative. A good wireless video solution should be easy and fast to set up and get running. In all honesty this shouldn’t be a difficult task, and if it is, then the product has already failed in my opinion. I found that the Storm 500+ was virtually plug-and-play. I hooked up the transmitter to my camera, connected an SDI cable and then hooked up the receiver to a smallHD monitor and turned everything on. Without having to do anything I instantly got a picture. This is how a wireless system should be, quick and easy to use. So far so good, but I wanted to see what would happen if I lost connection, so I turned the receiver off and then back on again. It took roughly 50 seconds for the receiver to re-establish a connection which was a bit slow for my liking (but at least I didn’t have to reboot both the receiver and the transmitter). Next, I turned the transmitter off, which is more commonly what may happen when you change over a camera battery or power the camera off and then on again. This time the connection was re-established in under 5 seconds. This was very impressive. So what about if I pulled out the SDI from the camera? Again the system re-established connection almost instantly. So what would happen if I suddenly changed the frame rate to 60fps (still in a 23.98p recording mode) on my camera while the system was on? Absolutely nothing changed. I didn’t even lose the picture for a second. When I changed the camera back to 23.98fps I did lose the signal for about 3 seconds before it came back up. Now the Storm 500+ is claimed to support up to 60p in full HD, so I decided to test that claim. Again this was no problem at all, and the Storm 500+ receiver re-established a connection within less than 5 seconds. In the final test, I wanted to change the operating channel and see what would happen. I changed the receiver to a different channel and then changed the transmitter to the same channel. Again in less than 3 seconds, I had a picture back. I really tried hard to fault the Storm 500+ with all these tests, and no matter what I did the system always re-established a connection without me needing to do anything. Not once did I have to re-boot both the transmitter or receiver. 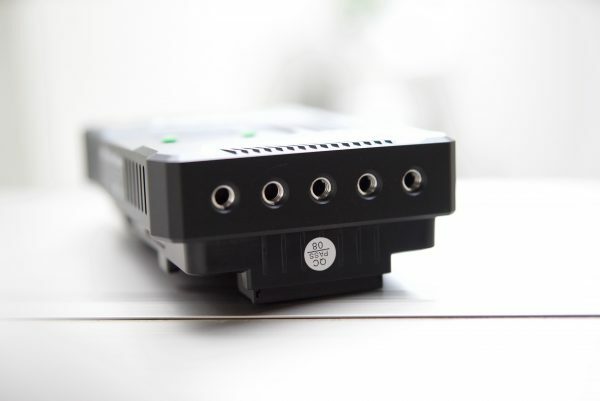 Pulling out connectors, changing settings and turning receivers and transmitters on and off is one thing, but how does it actually perform in the real world? 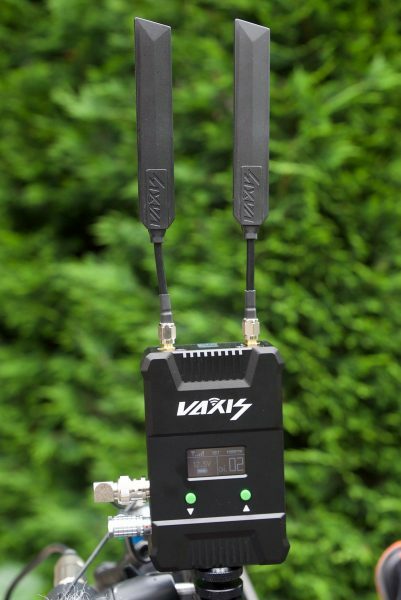 Vaxis recommends that to get the best wireless transmission performance, both the transmitter and receiver need to be at least 1.5m above the ground. Keeping both the receiver and the transmitter at similar heights also helps with performance. The real transmission distance is also relevant to the current air electromagnetic environment, because the system works in the ISM band, and therefore has exposure to all kind of 5GHz band air interference. 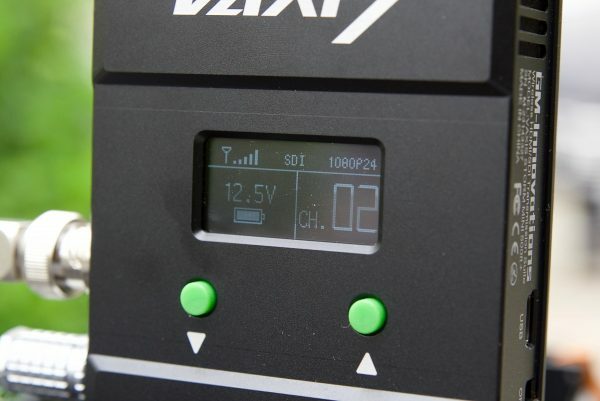 Vaxis recommends users should do a manual frequency sweep by adjusting the frequency selection knob with a circle before using the equipment, that way you can select the best frequency channel for stable performance. With this in mind, I decided to test the systems range and performance. To test the systems range I remained in line of sight of the camera and started walking away with the receiver. I found that I could get around 200m (656ft) before the signal dropped out. This distance was almost identical the operating range I got out of the Bolt 703 when I reviewed it. Now in saying this, I did find that the receiver needed to be facing towards the transmitter and you have to be careful not to block the top of the receiver where the inbuilt antennas are. If you place your hand or something over the top of this part of the receiver the signal tends to disappear fairly quickly. When the signal did disappear, I had to wait until I was back in range before it re-connected. The system seems to be very stable as long as you didn’t start pushing the boundaries of its operating range. In most cases when it did lose the connection it was able to re-establish it without the need for re-booting the transmitter and receiver. I’ve always loved a wireless set. 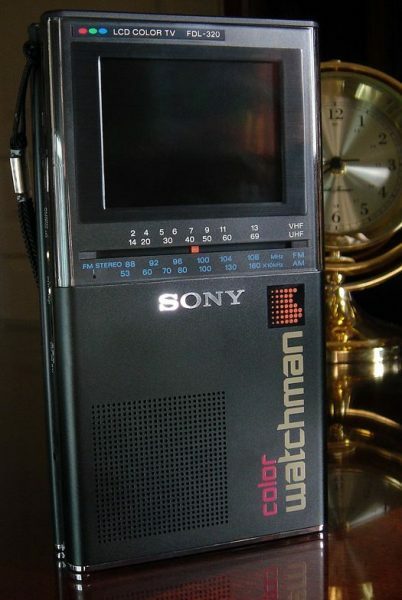 As a focus puller and operator, I struggled for years in the standard def / film world with homebrew rigs, transmitters and handheld monitors like the Sony Watchman. They worked, but the image was barely passable and intermittent, to say the least. As a director, the day when reliable, stable, long-range transmitters couldn’t come fast enough and I think even with today’s current crop I still found myself spending thousands and thousands of dollars to then spend hundreds of hours waiting for the link between me and my clients/ agency, or my camera and I to come back up or to have the problem debugged and fixed. The multiple Vaxis Storm 500’s and 1000’s I bought last year are truly THE first time I’ve gotten through day after day with never even having to THINK about wireless video on set. The only time I hear ‘monitors down’ or ‘we’ve lost image’ nowadays is when we change a camera battery or there’s some power loss on set. The rest of the time I’m free to get on with being creative and giving myself and clients what I want. I opted for a Storm 1000’ kit for the main client monitor with the matching 1000’ transmitter on my Sony FS7 and additional 500’ receivers on my wireless directors monitor and wireless focus station for my AC’s to pull from. What appealed to me at the time was the ability to mix and match kits so you only need buy what you absolutely need. If your directors or AC monitor is usually in close proximity there’s no need to buy the long range units and you can add a 500 or 500+ or 1000 or 2000 later and they will all talk to each other. 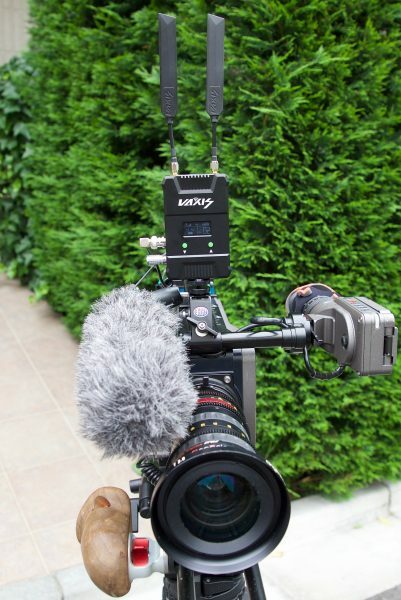 Transmitting distances are pretty meaningless in most day to day shoots, 1000 ft, 500ft etc. etc. means nothing. The real world test is can the image get to my clients hidden away in the back of a 3 story house of glass concrete and steel without my crew having to stop what they’re doing and run cables. 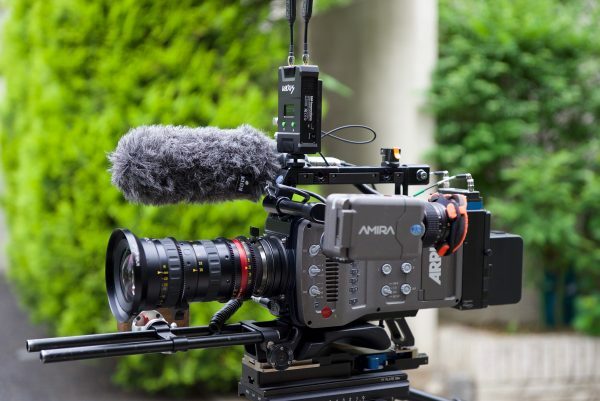 Again with the Vaxis gear, I’ve found it really capable in most of the average production setups. Only very occasionally do we have to move a receiver just a couple of feet for it to then work flawlessly for the rest of the day. Pairing I must say has been a nightmare in the past with my experiences using many kits from the big two manufacturers. Endless resetting, pairing and unpairing, and the units completely forgetting what they were paired with. I think the last time I paired any of the Vaxis gear was also the FIRST time I paired it, day one! Whatever they’re doing with their board set or firmware works and stays working. I’m not sure what else to say other than the best piece of gear, whatever it is, is the one that does its job, doesn’t hold me up and stays out of my way while I get on with being creative, keeping clients happy and making money. And that’s what the Vaxis does. If I’m going to use a wireless video transmission system it has to be easy to set up, easy to power and most importantly reliable. If I’m working as a solo shooter or in a small team I don’t have the time to keep going back to a producer or a director to sort out wireless problems. If a problem does need to be addressed, then the system should be easy enough to be fixed by a producer or a director without them having to bother me (I know, wishful thinking!). For my wireless needs, I have been perfectly happy with the Teradek Serv Pro. It’s easy to set up and I don’t have to have extra monitors, power supplies and receivers for people to see what I am doing. For my needs, this works well, but others may require a more latency free solution and that’s where I think the Vaxis Storm 500+ is worth taking a serious look at. I can already imagine some of the comments already, “It’s a Chinese Teradek knock off”, “It’s going to break or fail”. You should never judge a book by its cover, and having a pre-conceived notion that just because something is made in China that it’s not going to be any good is just naive and ignorant. Here at Newsshooter, every product that we review gets the same fair and honest evaluation no matter who makes it or where it comes from. The Vaxis Storm 500+ does exactly what it’s supposed to do and it does it with minimal fuss. From my experience testing the system, I found it to be reliable, easy to use and well built. At $1,880 USD it is significantly cheaper than a lot of its competition. 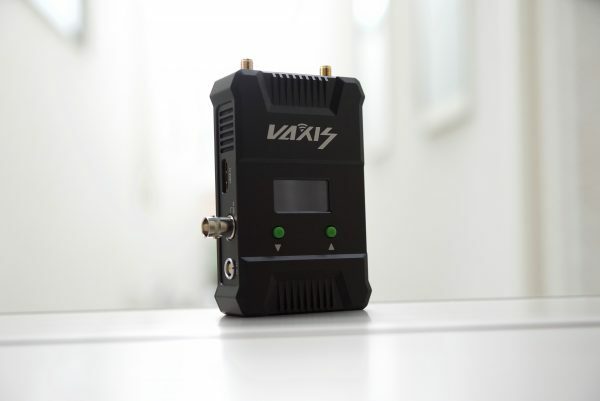 The Vaxis Storm 500+ and upcoming Thor range of wireless suites are available to purchase from the Vaxis website. This is an affiliate link and Newsshooter will receive a small commission on any sales. The review unit was provided on loan by Vaxis and is not sponsored in any way.